The Sailor Circus will be performing under the Ulla Searing Big Top at Nathan Benderson Park from December 27 to 30. If you have not been to see these absolutely amazing student performers, you simply must go. Youths and teens (ages 8-18) from all over Sarasota perform a holiday revue called Big Top Holidays, and they will truly blow your mind with their talent. We will need to wait until February 15 for the return of Circus Sarasota, but tickets are on sale now. Given how quickly these performances sold out last year, it's worthwhile to plan your circus evening now! International circus artists perform in an intimate European-style one-ring circus under the Big Top at Benderson Park. If you haven't gotten enough circus recently, then now is a good time to take advantage of Discover Sarasota Tours' Circus City Tour! This 90-minute trolley tour will visit key city landmarks where guests will hear stories of the colorful cast of circus characters, showmen, and performers who have and do call Sarasota home. I recently partnered with the wonderful organization, Arts & Cultural Alliance of Sarasota, to underwrite Culture Coast with Kathryn Parks, a bi-weekly video series to acquaint Sarasotans with our arts community. The most recent segment features my friend and photographer, Andrea Hillebrand. Every segment in the series can be found on the Arts & Cultural Alliance's YouTube page or my Facebook page. Coming on the market tomorrow! I am so excited to share with you my new listing, which will be hitting the market on Thursday, November 1. 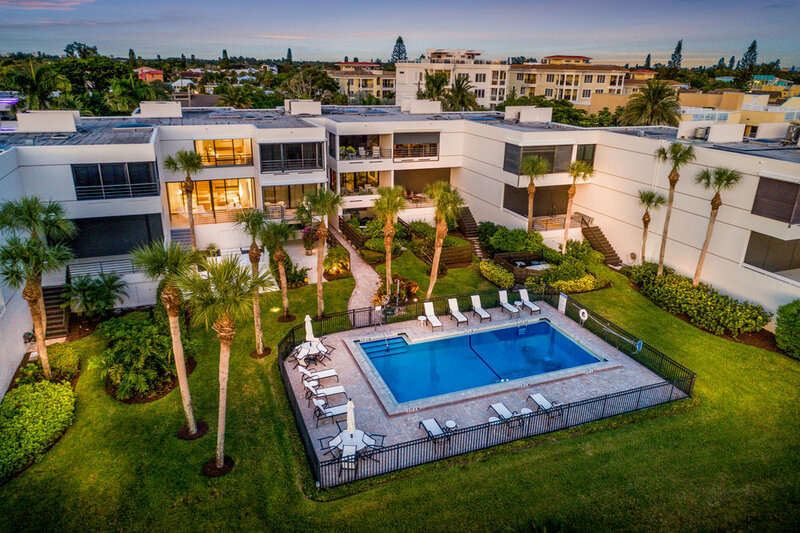 This immaculate luxury residence is right on Siesta Key Beach and features a contemporary aesthetic in a mid-century modern townhome community, designed by architect Tim Seibert. Coming soon. Price upon request. An original Sarasota School of Architecture, which blends mid-century style into coastal and tropical climate lifestyles, architect Tim Seibert has been greatly influential in designing the modern paradise that is Sarasota. Once aptly described as "Frank Lloyd Wright goes to the beach," Seibert's architecture can be found all over Sarasota. Find out more here.